commented on "I love reading and writing about history but that doesn't mean I don't also enjoy fiction. For more than 10 years I have been part ..."
I love reading and writing about history but that doesn't mean I don't also enjoy fiction. For more than 10 years I have been part of a wonderful book group and one of our favourite New Zealand authors is Paul Cleave. He hails from Christchurch and although he isn't that well known in New Zealand, his crime novels are huge sellers in Europe and Asia. We've been hooked on his books since reading 'The Cleaner' in 2009 and eagerly look forward to each new release. So it was a real pleasure for me to meet Paul yesterday at the Nelson Arts Festival's Page and Blackmore's Readers and Writers programme. Having hounded Jacquetta Bell, the programme's organiser, for several years to include Paul in the lineup of writers, my book group and I were really excited to find out a few months ago she had finally manage to secure him as the first ever crime writer to attend. The only catch was that I was to be the one on stage with him asking the questions! My 'conversation' with Paul was at the Granary at Founders Park and sitting in the front row was, of course, my book group! Paul and I spoke for an hour about his books, characters, themes, Christchurch (where all his eight novels are set) and his newest book - Five Minutes Alone - which will be released in New Zealand in January. I really enjoyed the experience and was flattered when Paul told me it was one of the best readers and writers festival talks he had been part of. 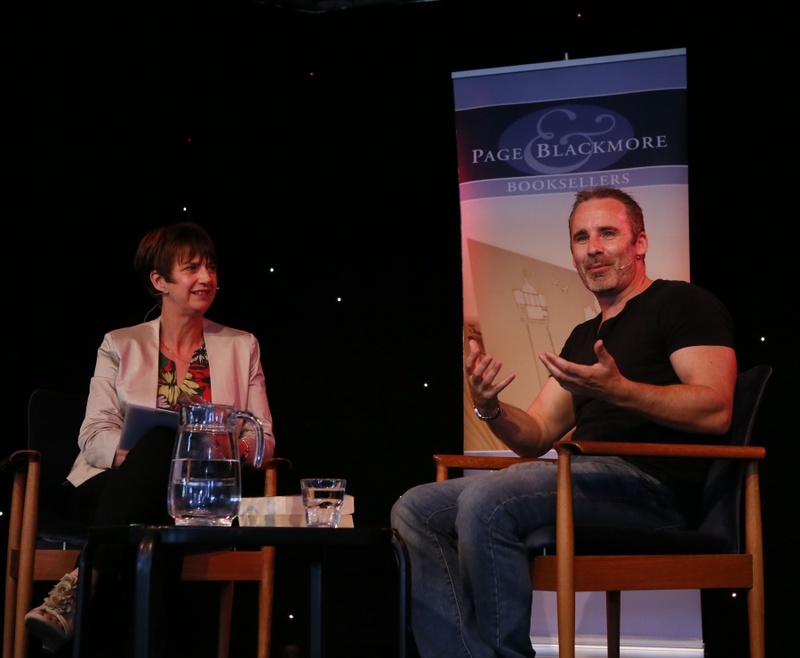 Thanks to the Nelson City Council and Page and Blackmore Booksellers for supporting the festival, and Jacquetta for including Paul in this year's great line up of writers! We've already enjoyed hearing from Man Booker 2013 prizewinner, Eleanor Catton, journalist Tim Wilson, and painter and photographer Grahame Sydney. There's still one weekend left of writers, including Marie Leadbetter, Sarah Kate Lynch, Michael Corballis and Davinia Caddy. My favourite though will be Damien Fenton, with his fabulous book, New Zealand and the First World War, on Saturday 25 October, 4pm, The Granary, Founders Park.